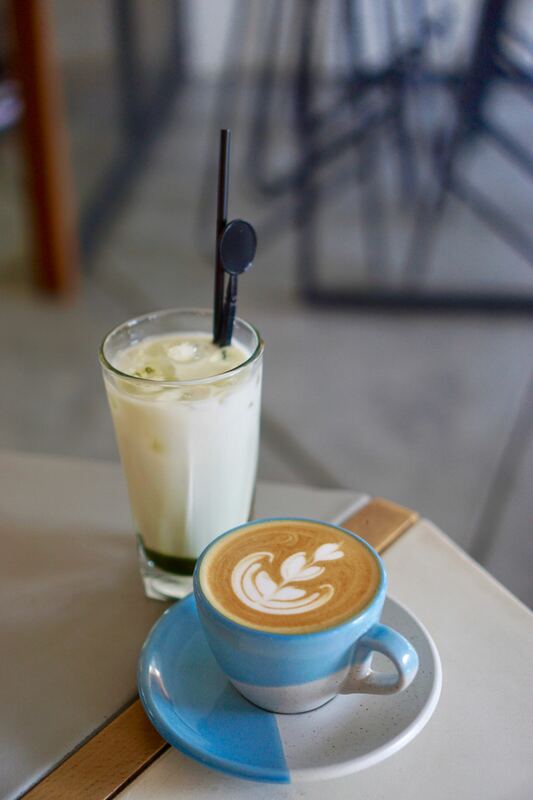 The coffee scene in Bandung is so so odd. 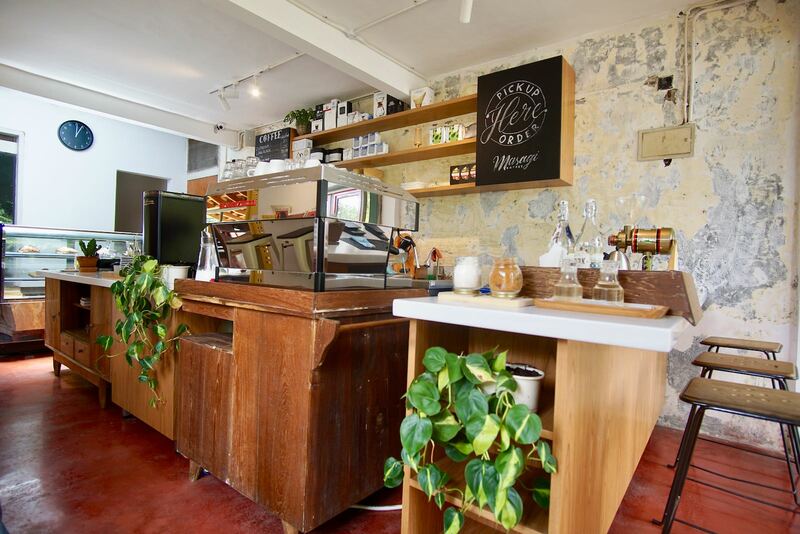 Having the best coffee or best fitout means almost nothing. 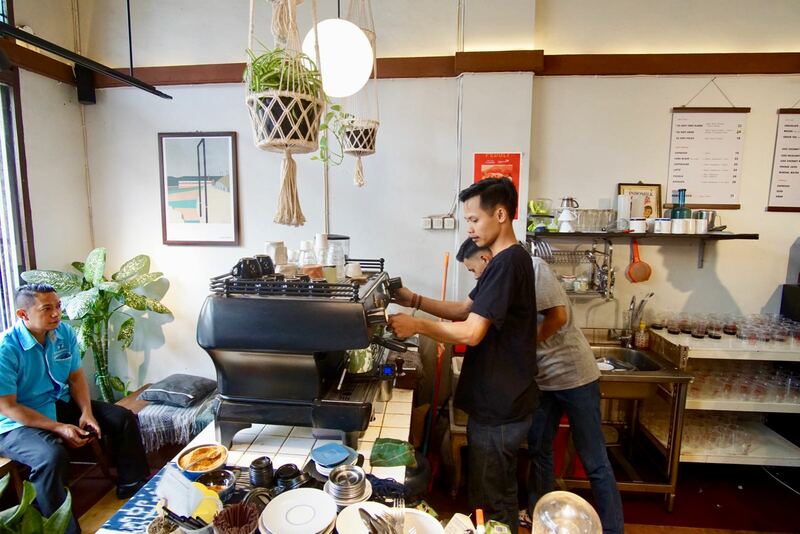 You don’t have to be the best to be the busiest and Kopi Toko Djawa is a case in point. The coffee here is below Bandung standard. 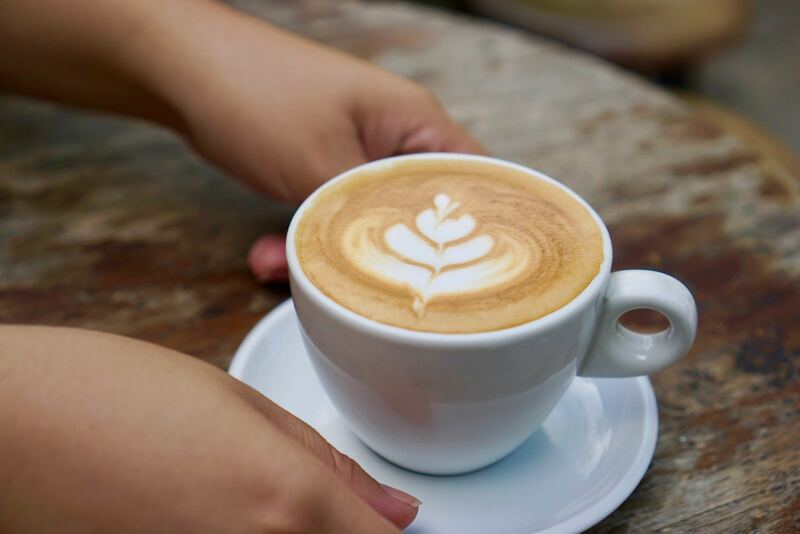 I had the cappuccino and it was ok, but nothing like what you expect in Bandung these days. 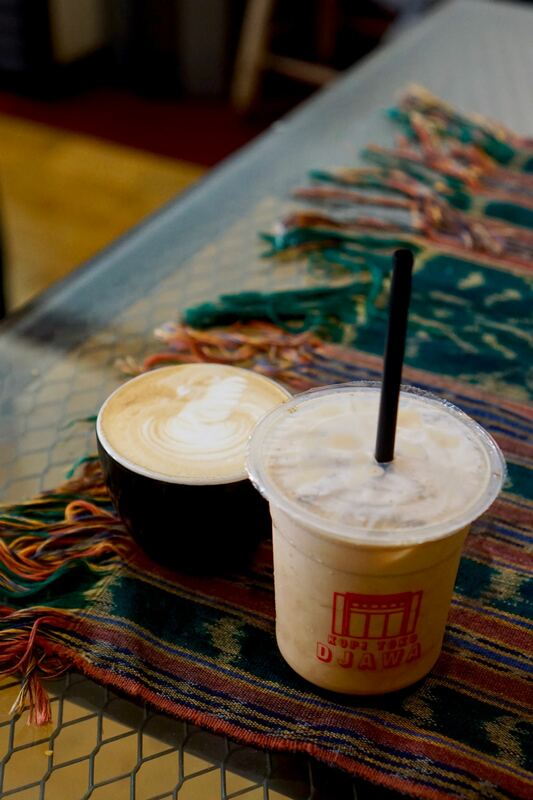 Susan’s es kopi toko djawa was refreshing and is actually what everyone is coming here for. 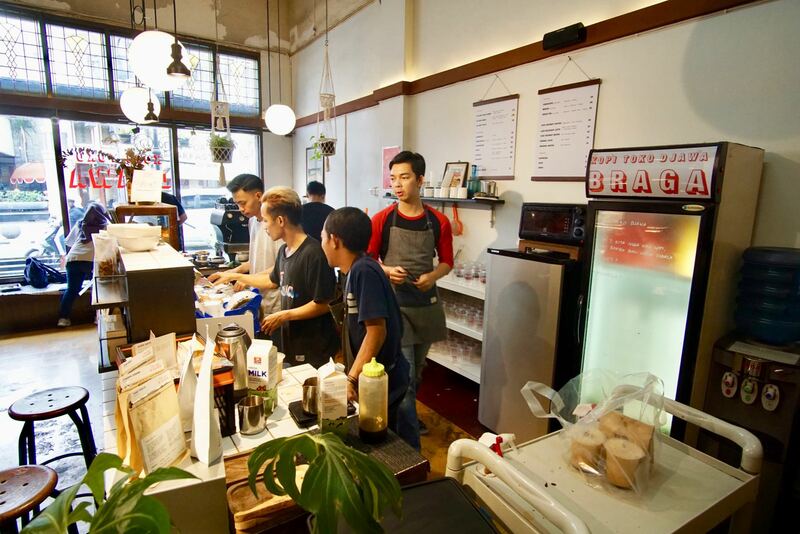 Iced coffee with palm sugar is their specialty and people absolutely love it. And I have to agree that an iced coffee with palm sugar is 10x better than with regular white sugar. 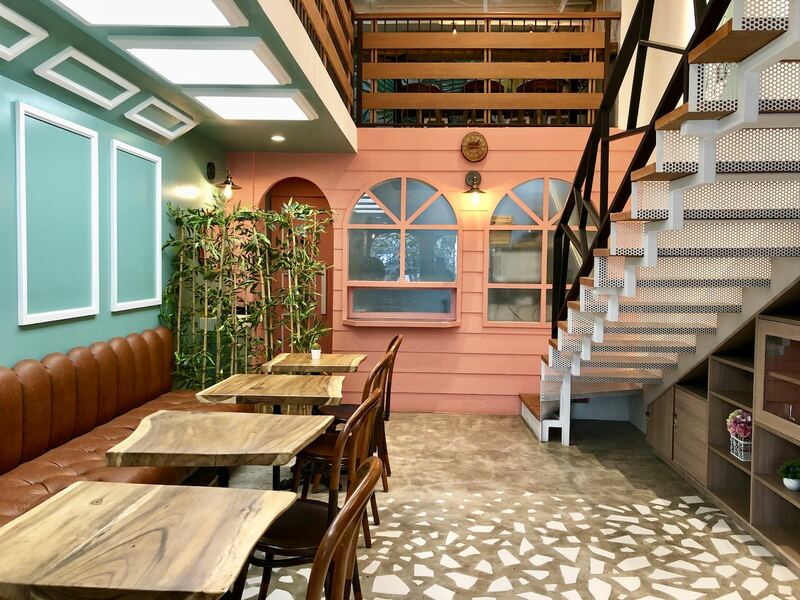 The fitout here is basic and anywhere else in Bandung I’d be slamming it. But it works here because of the constant stream of customers coming and going. There’s no wifi here so don’t plan to come here and set up a laptop. It’s not that sort of place. And with that, we have to ask ourselves why Kopi Toko Djawa has so many customers and better coffee shops have hardly any. If you’re in Braga, come here for an iced coffee. It’s good and cheap. 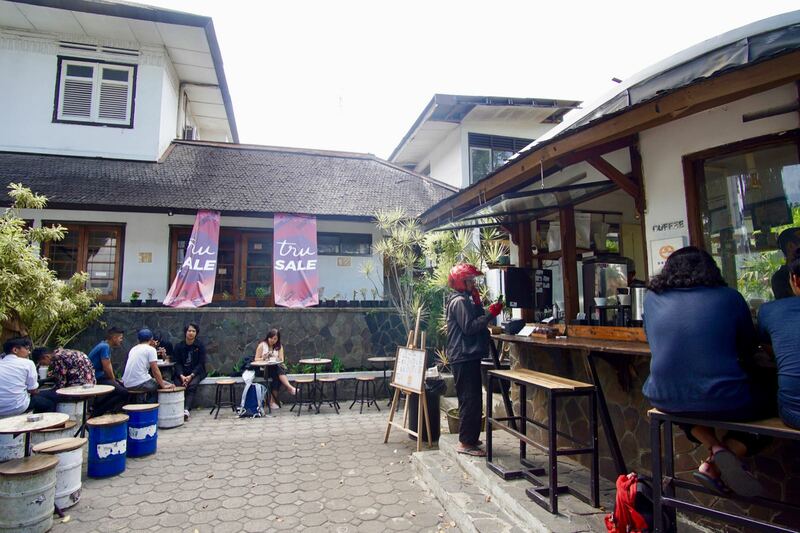 But please, also make an effort to visit one of Bandung’s other coffee shops which in my opinion are even better. We didn’t know what to expect before entering this coffee shop as it’s in a location that doesn’t really have any other coffee shops. Right across from the station, I assumed that it might be unpopular because of the traffic situation out the front. But I was wrong. 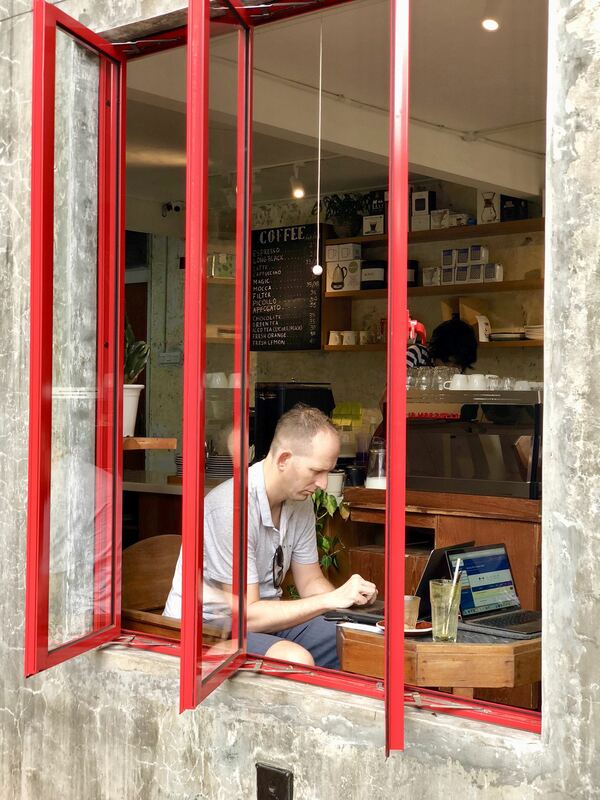 At 8am when we arrived, the cafe was already pumping with a decent crowd who had popped in for arisan, to read a book, to do some business on the laptop. It was a wide variety of people who found this place to be suitable. The coffee here is not that good and quite far below the Bandung standard. That’s disappointing as everything else about the cafe is great. 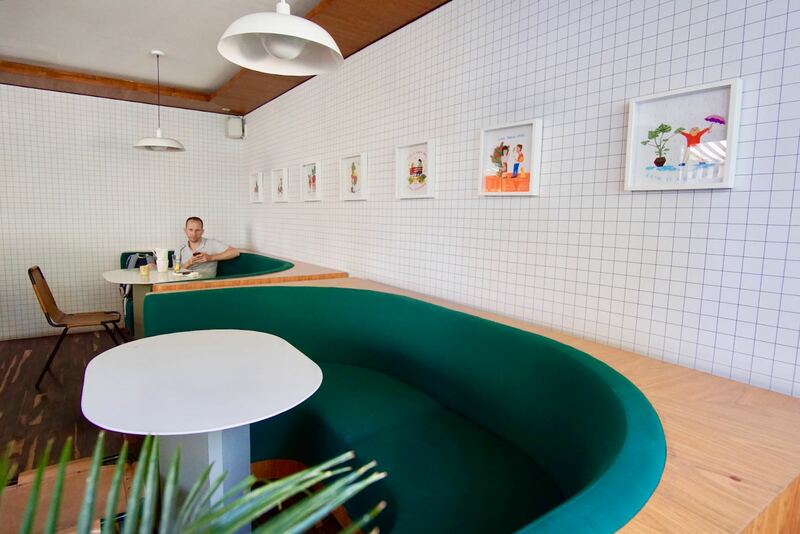 The fitout is modern, fresh and comfortable with a variety of different areas to hang out in. We especially like the seats next to the window and those upstairs. There’s a selection of cakes and pastries available as well as a full menu of proper meals. 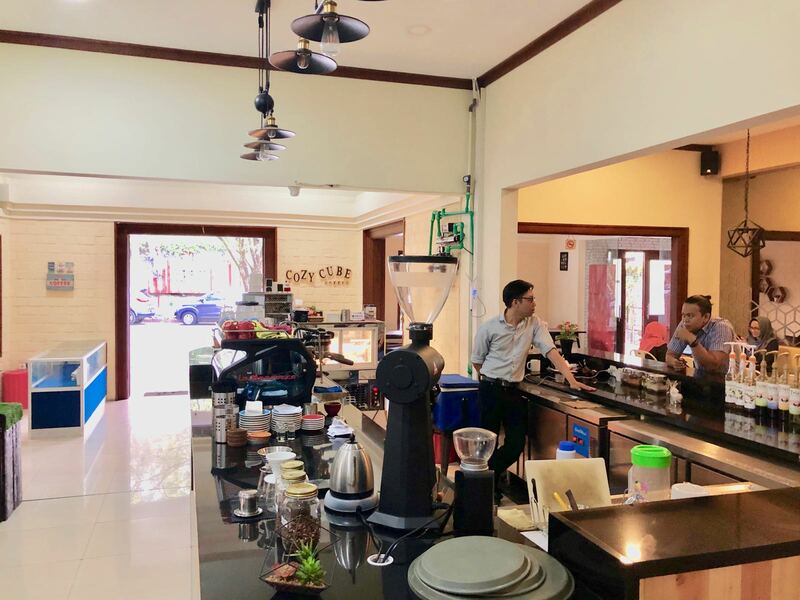 I didn’t try any of those, but I assume they’ll conform to Bandung cafe standards…. which is not too great. A decent coffee shop, especially if you’re waiting for a train or have some time to kill before checking into your hotel. Also a decent place to work, but the wifi is a little slow at 9mbps down and 2 mbps up. New for 2018, Hi, Brew! Coffee has one of the strangest names of a coffee shop in the whole of Bandung and that’s saying something because Bandung does have some weirdly named coffee shops. 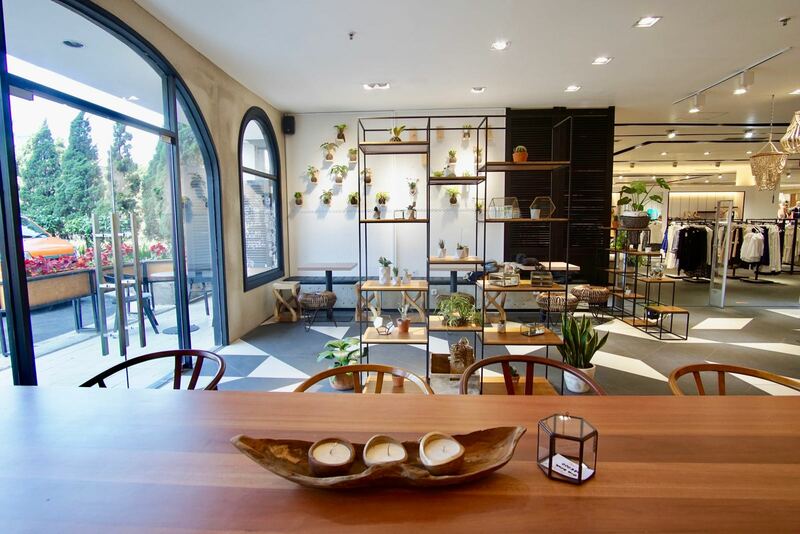 The interior of this coffee shop is modern, stylish and exudes a feeling of quality. 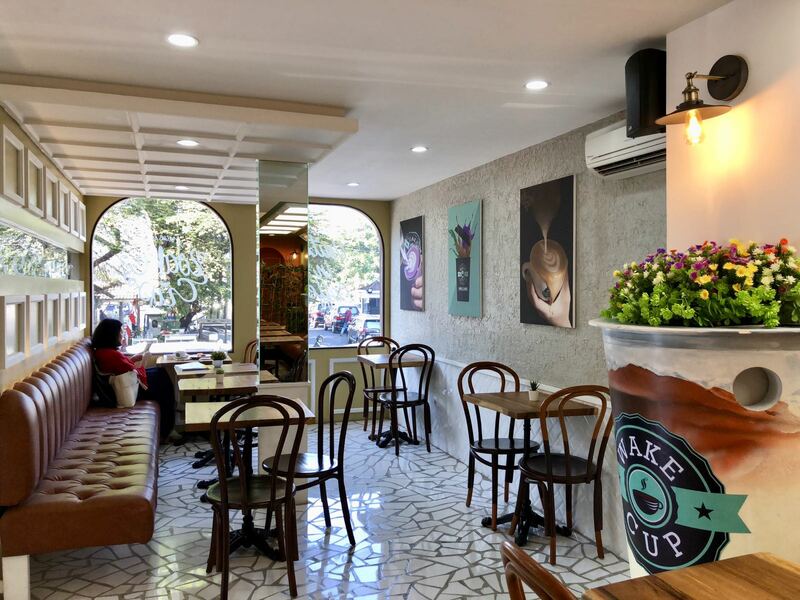 Many cafes furnish their interiors with cheap tables and chairs but Hi Brew has elected to go for more expensive furniture. I love that. The indoor area is air conditioned, but there is also a two storey area out the back which is perfect for smoking and nongkronging. Both the inside and outside areas are suitable for working and we saw a lot of people setting their laptops up here. Which brings us to WiFi. It’s pretty good, but a long way from the best in Bandung with 31mbps down and 6mbps up when we tested it. Definitely good enough for most uses, but a little sluggish when a few people do data intensive things. The coffee here is excellent and I appreciate the funky cup it’s served in. They also do food here, but we haven’t tried it yet. 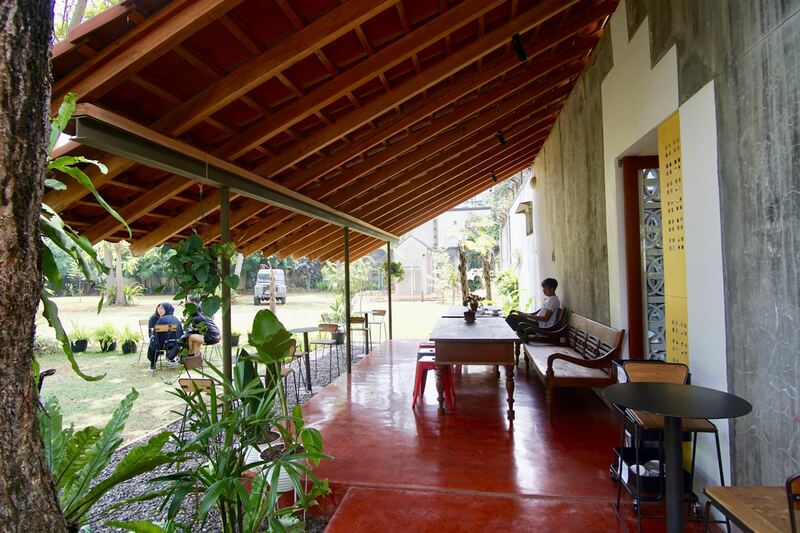 This is a great place for coffee, opening your laptop and hanging out with friends. Comfy, stylish and practical. 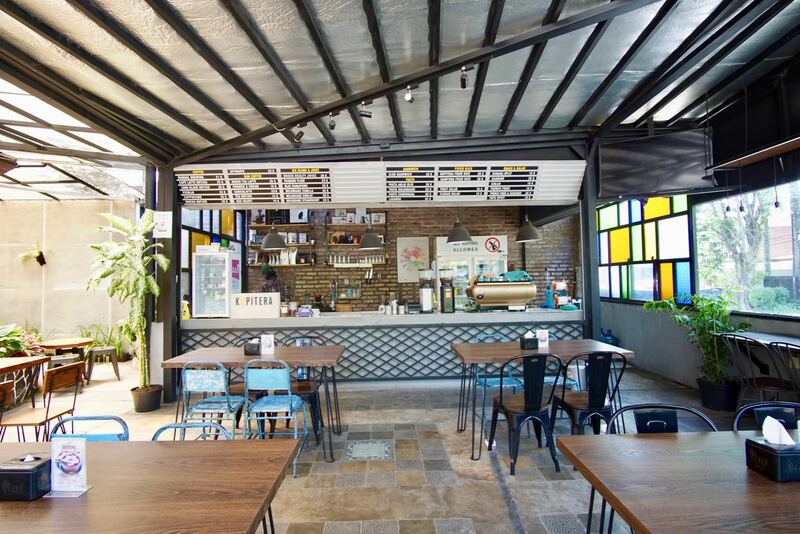 We first visited Oliver’s Hostelery quite a few years ago and loved the design of the place. A few years down the track and they’ve changed the name to The House Tour Hotel and opened a cafe in the foyer called The Potting Shed. The Potting Shed was extremely busy when we visited midweek. It was kind of surprising really as Oliver’s was always so quiet. They’ve renovated the foyer slightly since Oliver’s time and added a glass house. And it’s this glass house that seems to be trending on Instagram these. And we honestly don’t know what all the fuss is about. The cappuccino I had here was small but tasty and came in a beautiful handmade cup. 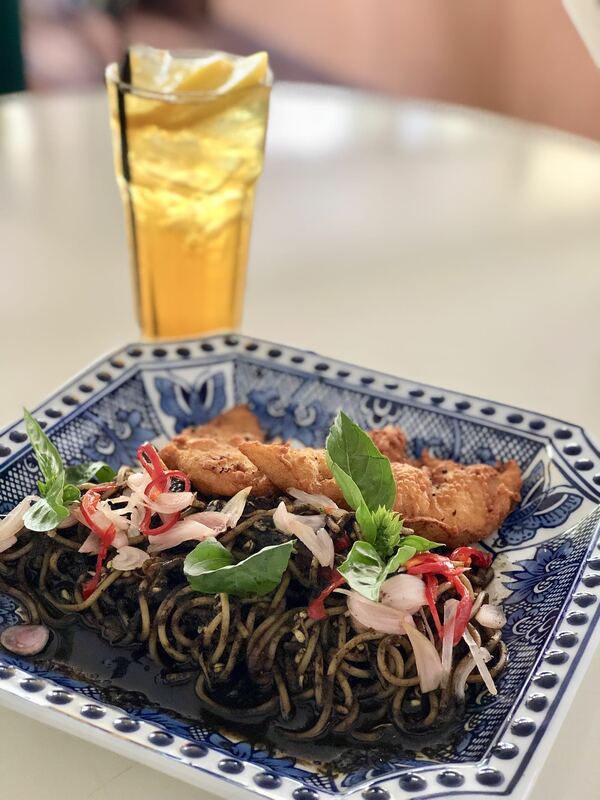 The food was also quite good and much better than average Bandung cafe food. That’s not to say it’s perfect, but it’s quite good. The rawon pasta was tasty, contained a couple of chunks of fish and was better than expected. 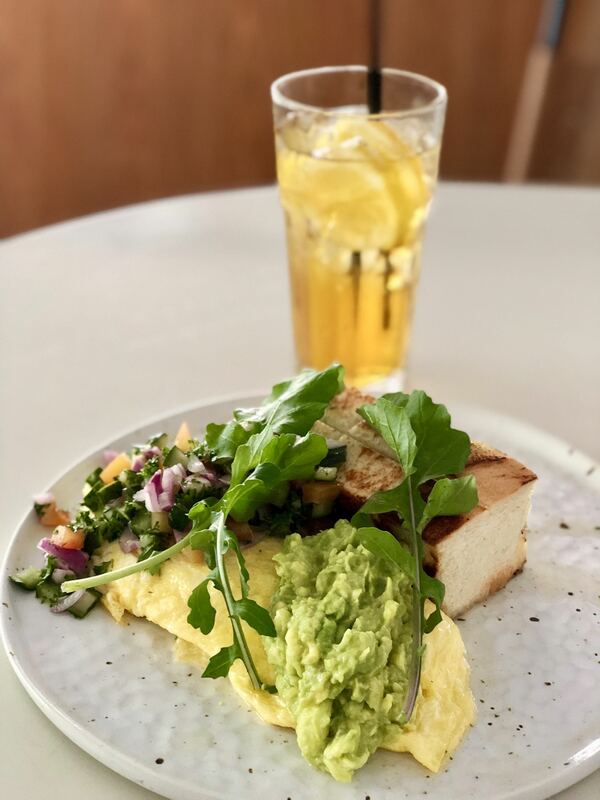 The omelette could have been a disaster, but with the addition of a bit of smashed avocado and some salsa type stuff, it was delicious. The fit out here is quite good, but we’re surprised people are swooning over it all of a sudden. It’s always been good. The WiFi was quite slow when visited clocking in at 2mbps down and 2mbps up. So it’s not really a place to come and work. 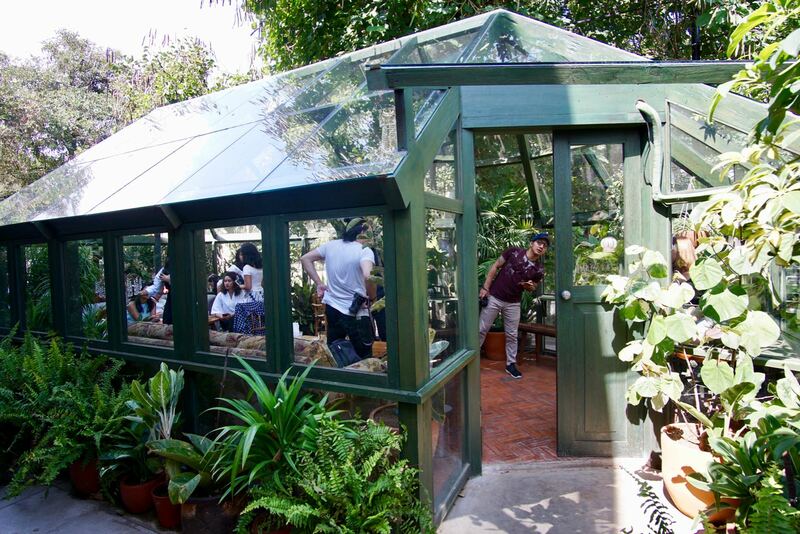 And besides, you’ll be distracted by all the people trying to get photos of their girlfriends in the glasshouse. 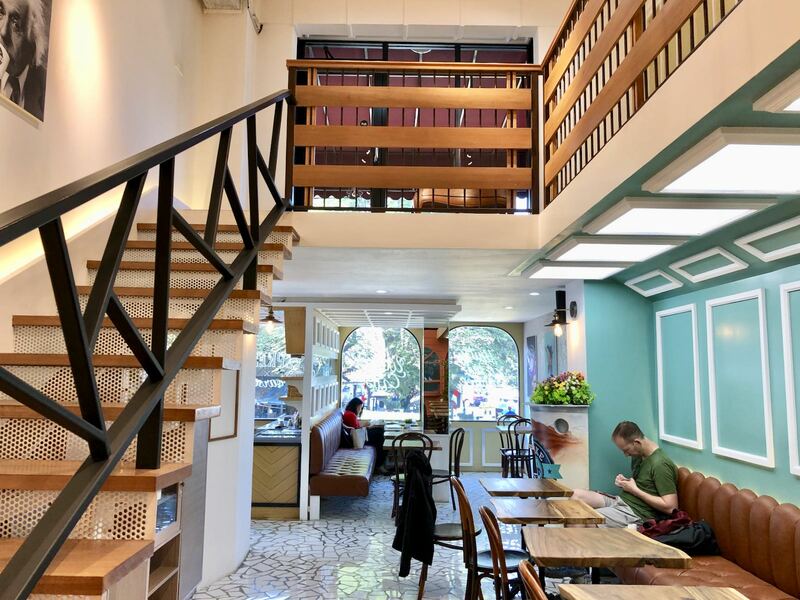 A well-designed place for decent food and coffee. Worth a visit. 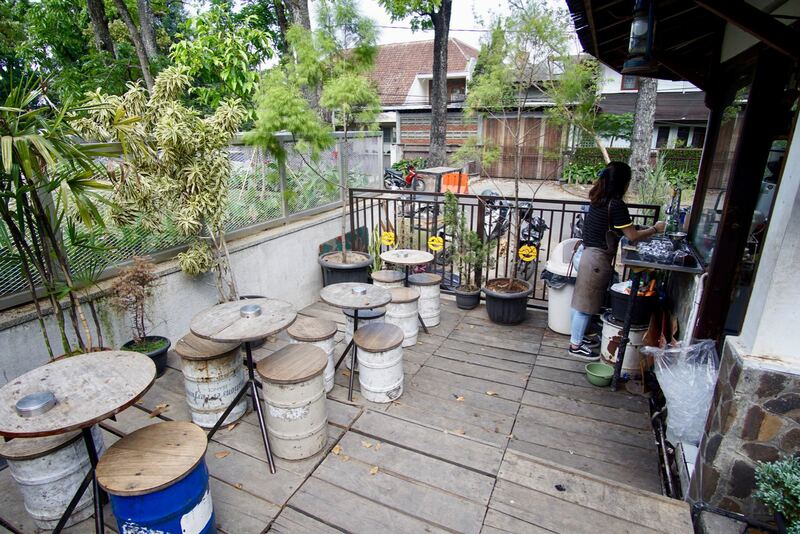 This is a classic nongkrong coffee shop in Bandung which is outdoors, perfect for smoking and drinking coffee. 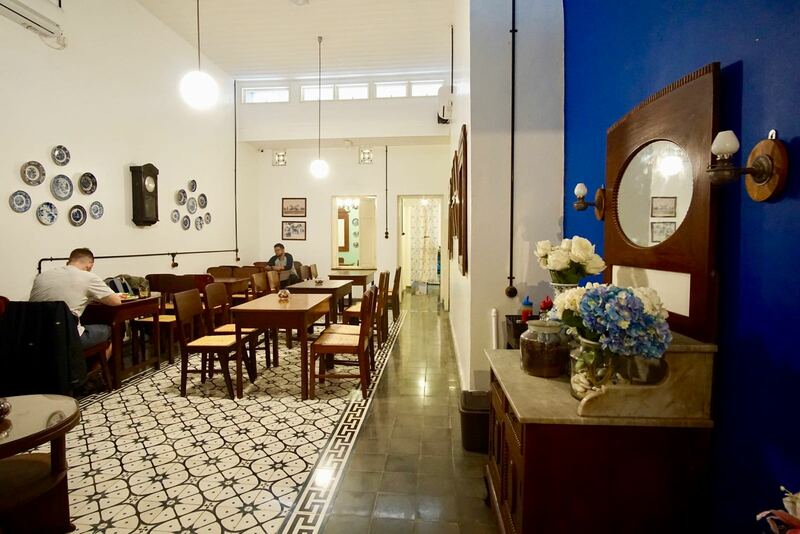 Kopitera is a cafe in an old colonial building which serves both food and coffee. I came here for the coffee and it was pretty good. The cafe itself is on a busy road with quite a lot of traffic noise and isn’t too peaceful. It’s also not air conditioned and some of the seats get quite hot during the day. In that regard, it’s not really a place you’ll want to come and work. But the coffee is really good and quite strong plus the prices are reasonable too. There’s also a simple food menu of nasi goreng etc, but I didn’t try that as I’m all nasi gorenged out — there’s only so much nasi goreng you can eat as you move from cafe to cafe. 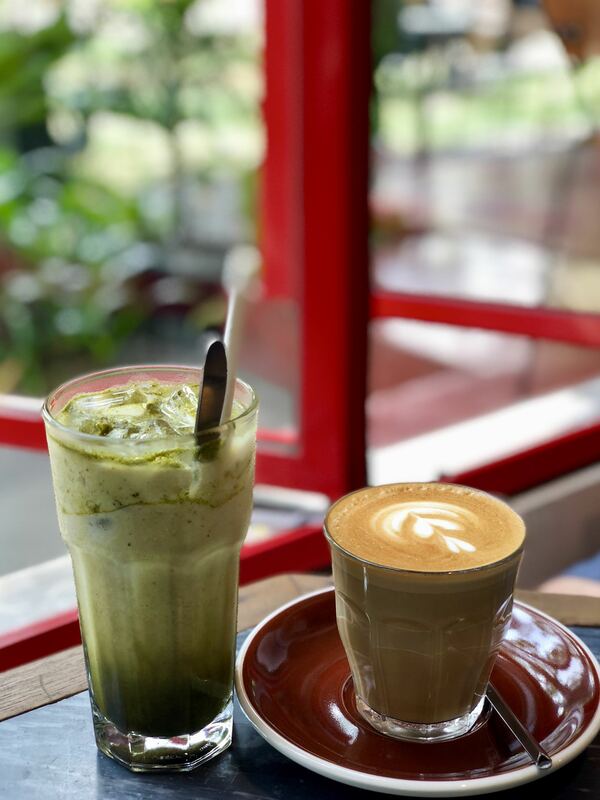 There needs to be some innovation here on the Bandung cafe scene. If you do decide to open your laptop, the WiFi is a zippy 26mbps up and 26mbps down so you’ll be able to watch YouTube videos in HD and upload whatever you need to in no time. A decent cafe worth a visit if you’re in the area. 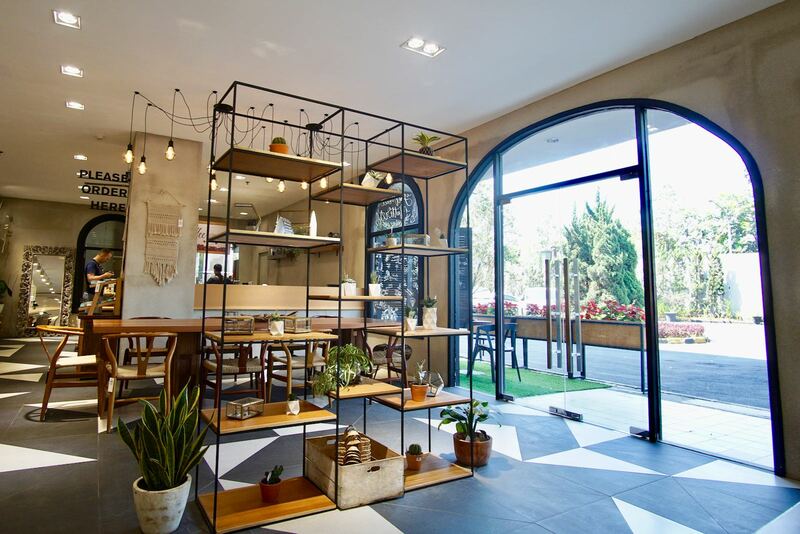 Carla Living, Bandung: Coffee and Homewares! 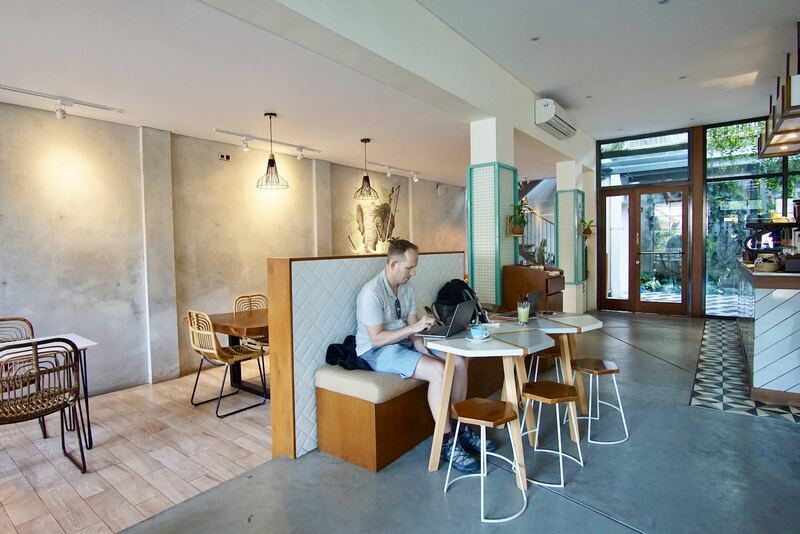 Many of the coffee shops in Bandung are starting to look quite similar to one another with a few exceptions such as the excellent Masagi. 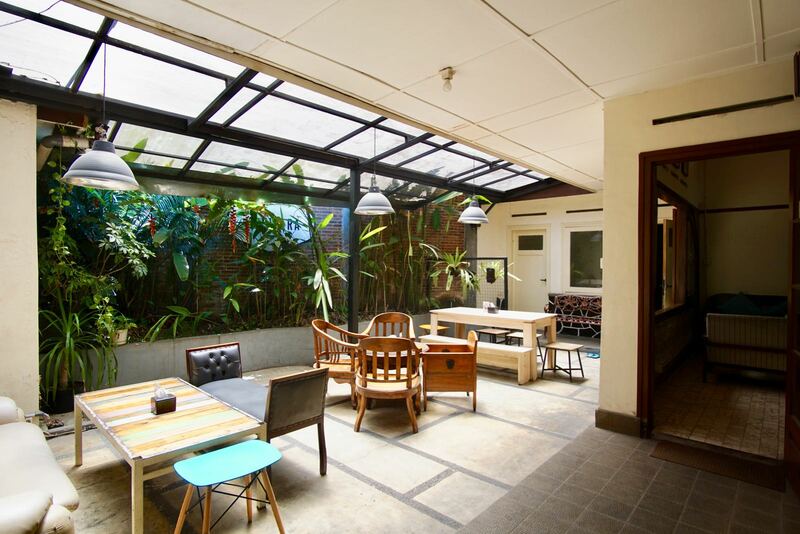 Another new concept for coffee shops in Bandung is on offer at Carla Living. Carla Living is a homewares shop in the Citilink Mall in the south of Bandung. 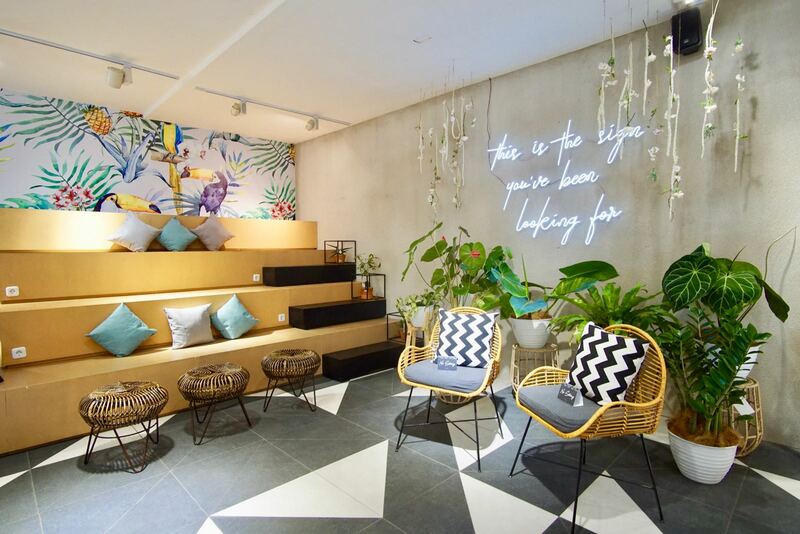 Inside the homewares shop is fantastic little coffee shop which is reminiscent of some we see in Bali such as Bungalow Living in Canggu and Kimsoo in Seminyak. 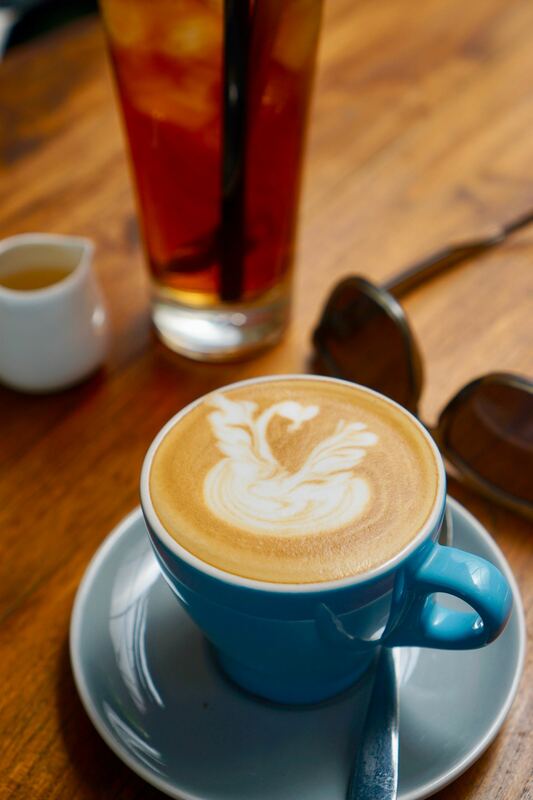 Aside from fantastic homewares, they also serve top notch coffee which in my opinion rivals the best in Bandung. 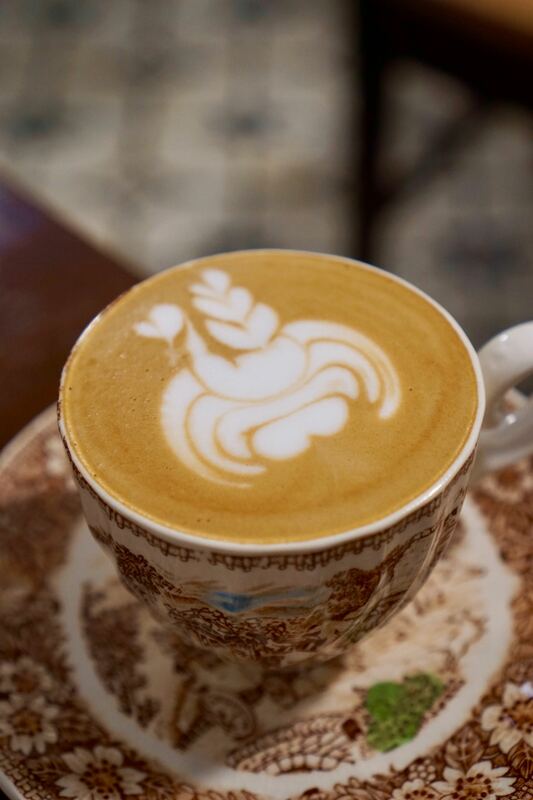 Silky smooth milk, deep rich coffee and a range of blends to suit every palette. It’s serious coffee at a price that is hard to beat. Internet here is fast. Very fast. Probably the second fastest I’ve tested in Bandung so far with a speed of 66mbps down and 20mbps up. Workspaces are plentiful and there are electricity sockets at a few of the tables. This is a fantastic little coffee shop with a new feel, great coffee, low price and fast internet. Give it a try if you’re in the area! 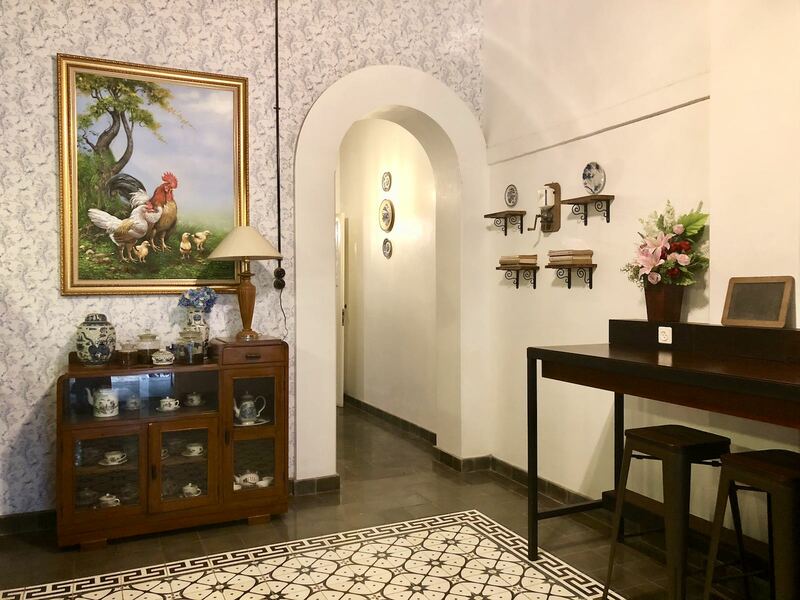 Located in a quiet suburban street in an old colonial building, Antico is a tribute to the colonial architecture and design of the Dutch era. 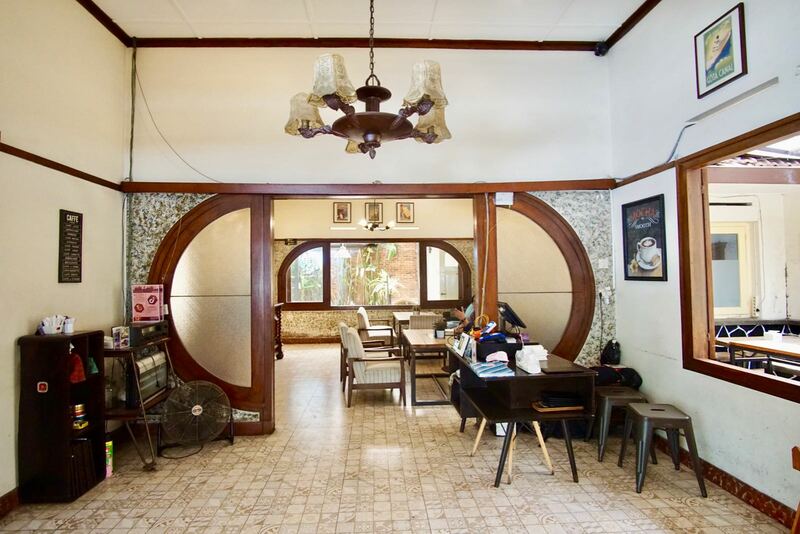 It’s a wonderfully styled house with old tiles, tables and chairs and the odd cabinet. It’s fantastic. 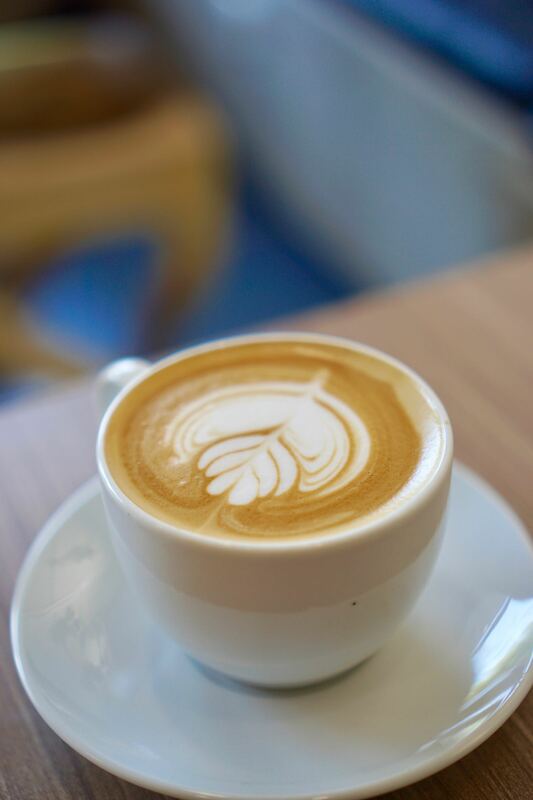 The coffee is very good and I’d be happy to have it every day if the week. 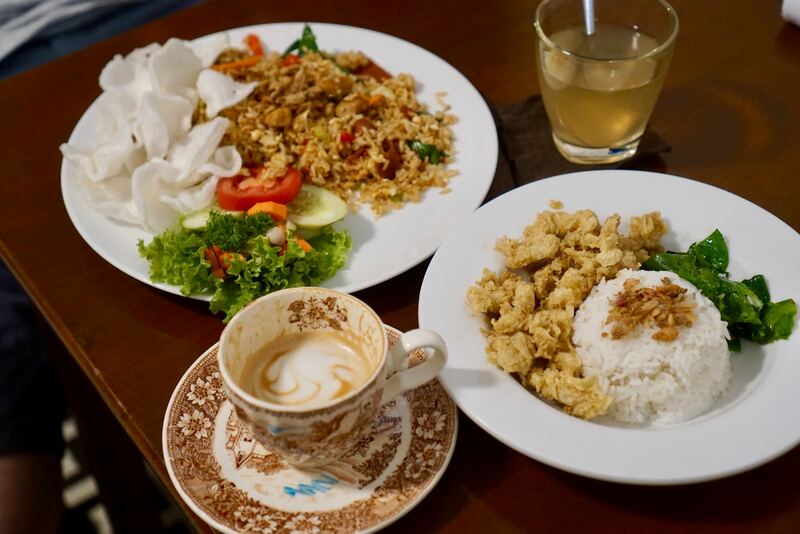 While the food menu is simple, the nasi goreng hit the spot nicely as did Susan’s ayam telur mentega. It’s a reasonable place to work, but the WiFi was incredibly slow I was there clicking in at 0.7mbps up and 0.7mbps down. You won’t want to be using this for anything data intensive. 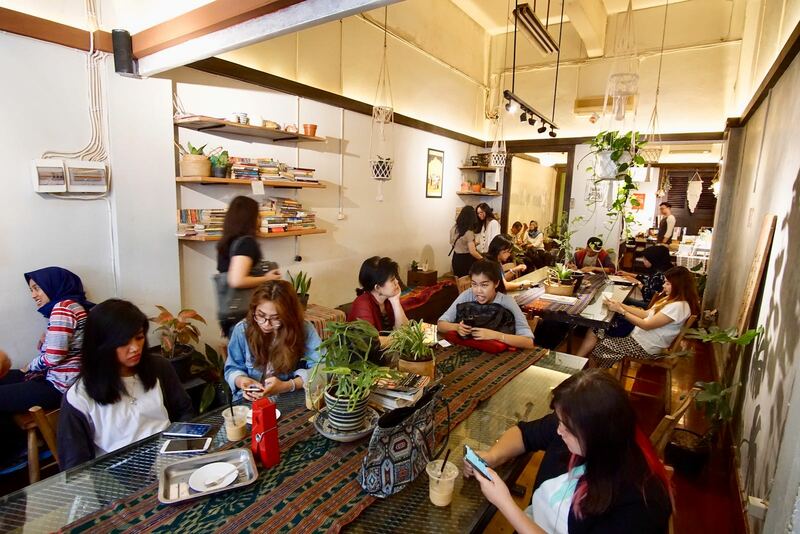 I really like this cafe despite the crappy wifi because the styling is authentic and avoids following modern trends. Coffee is great and prices are really good. 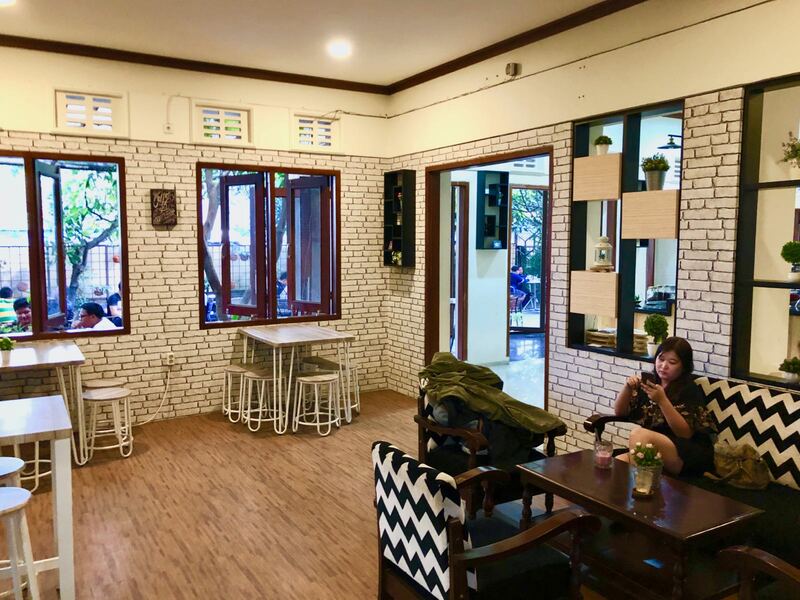 Ciumbuleuit seems to be the IT place for opening cafes and coffee shops these days and I just don’t know how the economics works because land is so expensive up here. 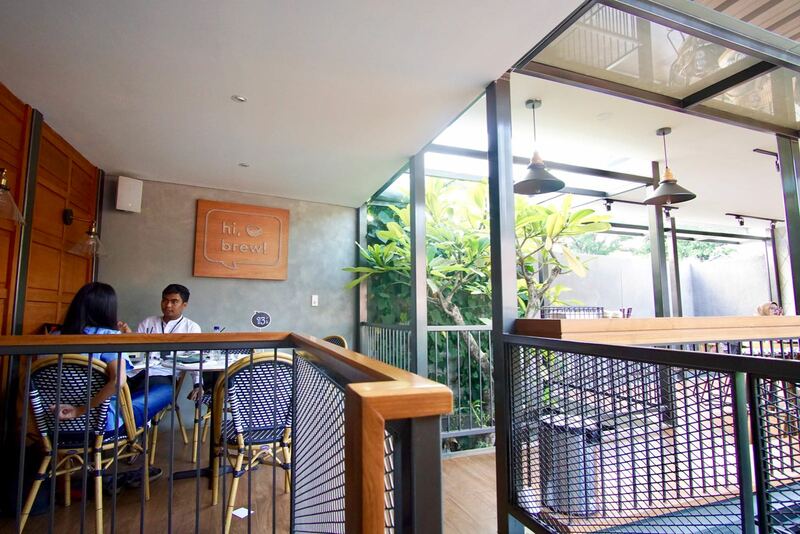 But Masagi is giving the cafe scene in Bandung a red hot go with higher than average prices and masses of vacant land ready to be developed. 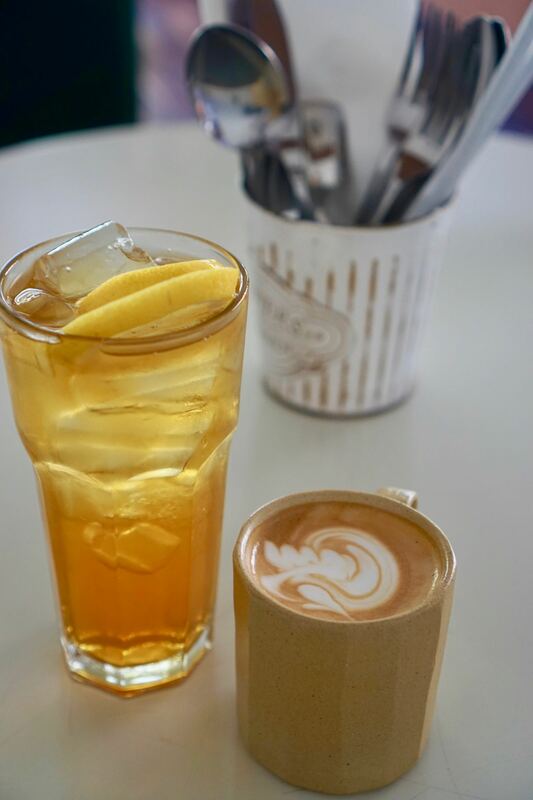 I had a magic and Susan an iced green tea and both were excellent although I have to mention that the magic was served in a latte glass rather than the standard tulip. Prices here are sky high by Bandung standards, but you’re kind of paying for the privelege of drinking your coffee in Ciumbuleuit with a large lawn on which to relax on. 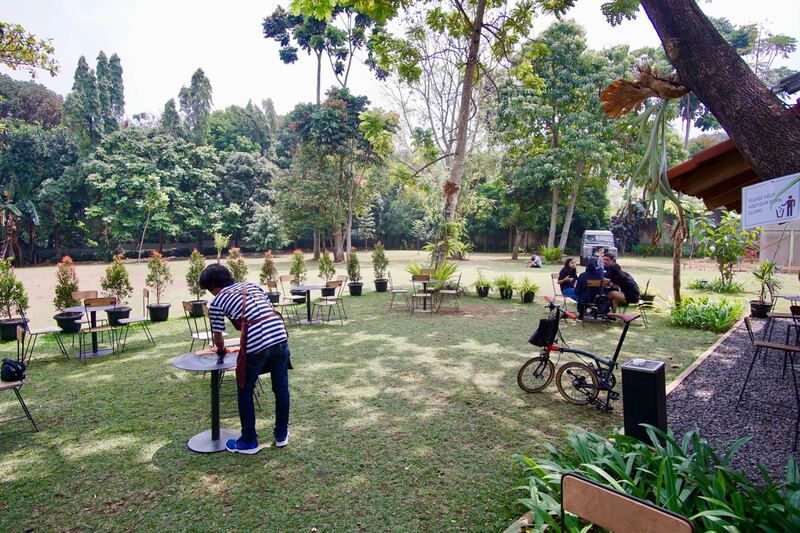 It’s an incredibly peaceful place reminiscent of Kiputih Satu with a cool breeze blowing, very little traffic noise and plenty of greenery to soothe the soul. I love it! Internet is fast at 31mbps down and 12mbps up, so you can definitely come here and upload your latest YouTube video, do some video conferencing or download the latest episodes of your favourite series. The work table situation is a little poor, but I didn’t mind opening a laptop at the table next to the coffee machine where there is also a powerpoint. 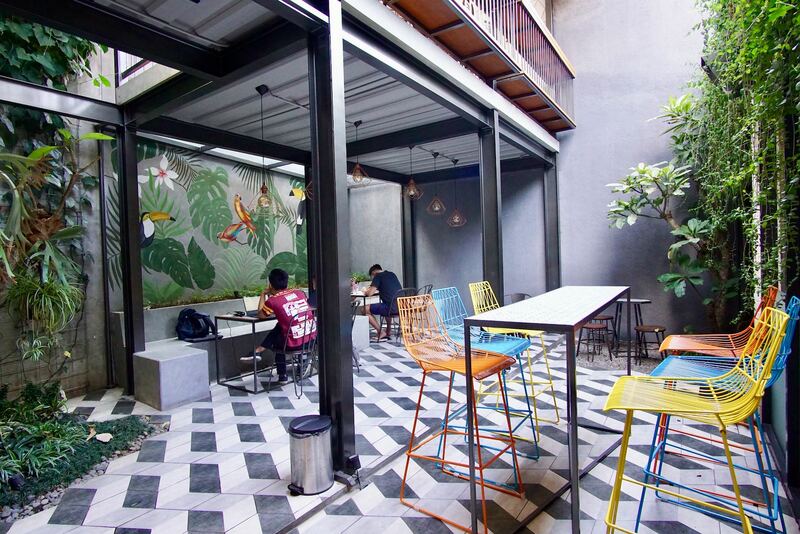 Not to be confused with Kozi Lab and associated cafes, Cozy Cube is a funky cafe doing their own thing in the heart of Bandung. 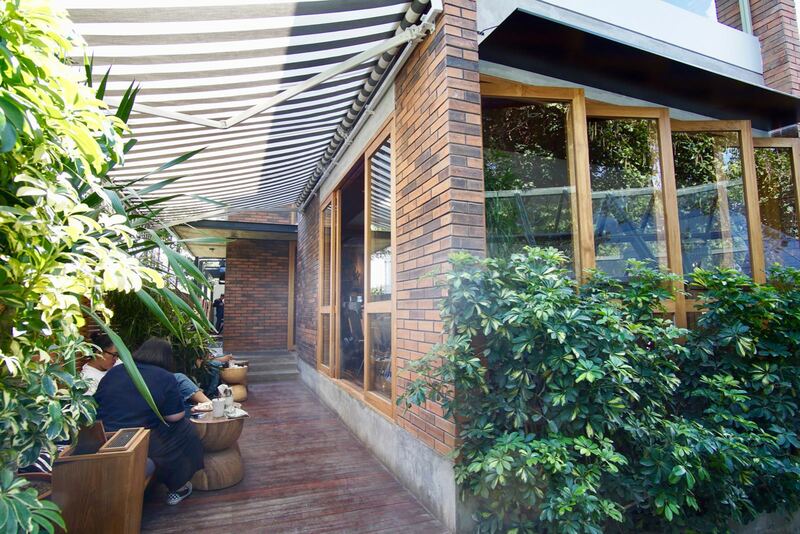 The coffee shop is large with multiple different locations to sit ranging from the outside garden area to lounge area. There are plenty of electricity sockets and the wifi here is very fast with speeds of 40mbps both up and down when I tried it. It seems like a great place to get work done. The coffee was predictably very good and in line with high Bandung standards. It doesn’t get too much better than this. 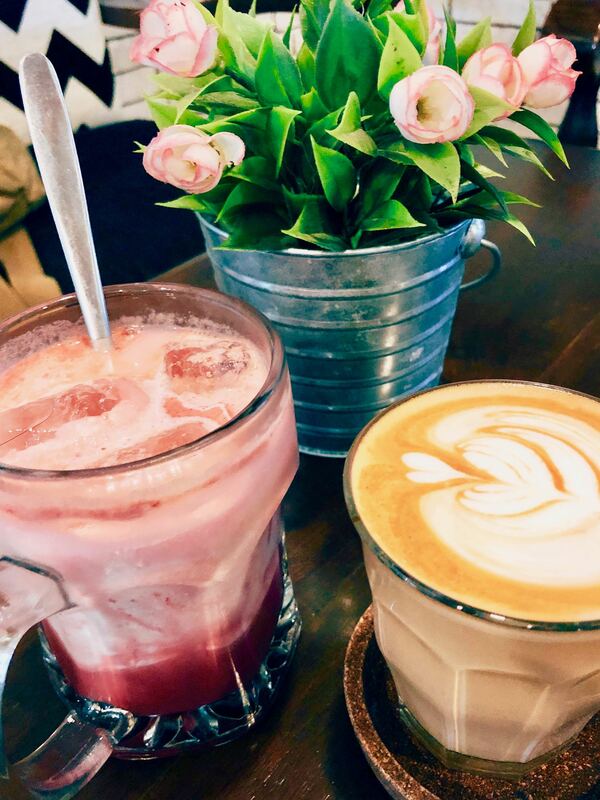 Susan’s iced red velvet latte was quite large and she was impressed with the value. The cafe also serves a range of food, but we haven’t had a chance to try that yet. And by the looks of things, most people are here to nongkrong or work anyway and not for a meal. 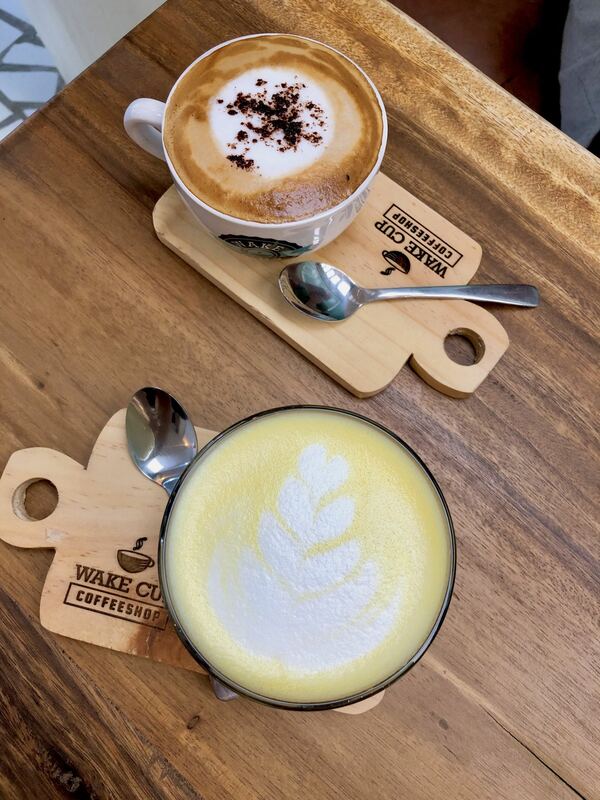 Another fantastic coffee shop on the Bandung coffee scene. Worth visiting.